Various online payments appeared in 2018, and I tried to find which direction towards Japanese cashless society. In overseas articles, I often saw the cryptographic currency, but in Japan the point system has developed and spread, so I actually decided to incorporate both in settlement. As for social media in Japan many people use LINE, so it seems easy to use as a smartphone settlement so I decided to take “LINE Pay” settlement. Although there may be few users in Japan, Paypal is major in oversea online payment. Therefore, we decided to introduce Paypal integrated with the appointment system, but any clients have not used it yet. Since the sharp rise of Bitcoin in 2017, the encryption currency is handled as investment target. I don’t know whether the cryptocurrency appropriate as settlement yet. As I looked up the cryptocurrency, I found out that it was drawing attention as a settlement of a social problem-solving. I’ve rarely seen “ICO (Initial Coin Offering by Encryption Currency)” in Japanese economic articles. I’m not sure how difference between Japanese use and overseas use such as how to use of IT technology or a different way of thinking about encryption currency. In 2018 I became crazy about reading white papers which is cryptocurrency planning documents and technical documents. Besides, I’ve been eager with collecting Airdrops which are free distribution of ICO. I am very interested in cryptocurrency as settlement method for social problems solving. So I would like to invite all of you to know ICO. Then I decided to introduce cryptocurrency settlement and explanation of ICO in consulting in 2019. And some of social medias which cryptomania often use are rare for Japanese. Common Japanese will not use them except IT Engineers. We also introduce them. * I’ve worked on the planning and production of online courses by using Hangouts since 2012, but I’m going to change to Udemy from G+ Hangout online course. In online media consulting, clients can know more details of each course and actual operation on screen sharing. Recently self-employed workers who are working at home are on the increase. Many business managers might be considering introducing various groupware to collaborate while communicating with people at long distances and to work efficiently. Connecting with Facebook Workplace and G Suite, workers can organize events, schedule management, data sharing and account management by unique domain using G Suite. In this course you can learn how to share information among coworkers or other companies. Y’z Portfolio also plans six courses including movie production of recipes. 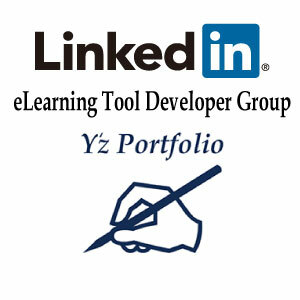 If you are interested in groupware or want to know the details of new courses, please contact Y’zPortfolio from inquiries on the top tab. * These courses are Japanese language only. 2017 is only four days left. Everyone will be busy days for preparing new year coming. How have you been for recent days? Y’z portfolio released new schedule. I’m sorry for delay about the notification of the schedule of the first half of next year. In the first half of next year, we schedule some new lessons which is included how to introduce encryption currency settlement for Internet shopping and e-learning website. This year was said to be the first year of encryption currency in Japan. The market started to rise sharply as soon as the encryption currency began to act as money in Japan. In the future, the number of encryption currency settlement will be increased sharply in Japan. Because encryption currency can be integrated cost reduction of remittance fee and asset management for dealings with overseas. US $, Japanese Yen, and encryption currency are also able to see pair transactions well in FX (Foreign Exchange) dealing site. We will also introduce Meta Trader which is the FX (Foreign Exchange) automatic trading application that aims to raise the profit, so please inquire. Also, in online media course for people who manage with a small business offers these lessons such as how to use software of video and photo, e-learning planning and production, picking up some particular words in the white paper of ICO and how to make Facebook applications. * These lessons are only Japanese. Updated the new schedule in the second half of 2017. “IT business marketing (technical edition)” (every Saturday from 15: 00-16: 30), “WordPress for advanced users”(every Friday from 13:00 to 14:30) and “E-commerce with Yahoo auctions”(Every Friday from 18: 30-20: 00) have been newly added. Online media courses were completely revised for e-learning content producers and language learning teaching material producers. Currently, development with using Adobe Flash is the main course, but we will change the development environment while incorporating the desires of those who wish to attend, so please inquire. These courses are Japanese only. * Sending agreement will be Email only from July. Please copy only the page of signature and attach it to the email addressed to contact@yzportfolio.com. You can take “How to use WordPress dashboard for beginners in Japanese” sample test from “Level-specific proficiency sample test”. Course takers can take “Level-specific proficiency sample test” anytime you want. It’s free for course takers. It’s useful for remembering function and item name of dashboard. Quiz types are multiple choices or two choices. It will take less than 10 min. Please try after watching ” WordPress for beginners” series. ＊Only Japanese. Everyone can take sample test. Accepting to receive consent form by email has started since May 5th 2017. Please email to “contact@yzportfolio.com“. InMail is also available. Paypal settlement is supported from reservation system for tuition. A Paypal account is required at the time of reservation. Those who do not have a Paypal account can also pay by credit card. Payment will be made on Paypal at the time of each course reservation, and then the course reservation will be completed. Refunds will be reflected immediately after cancellation through the Paypal system. Cancellation fee will not be issued if it is less than one week prior to the booking date. If cancellation is less than one week, 30% cancellation fee will be charged. * If you change the reservation for our convenience, no cancellation fee will be incurred.